Nearly two weeks ago, a cat and dog were surrendered together in the same pet carrier. 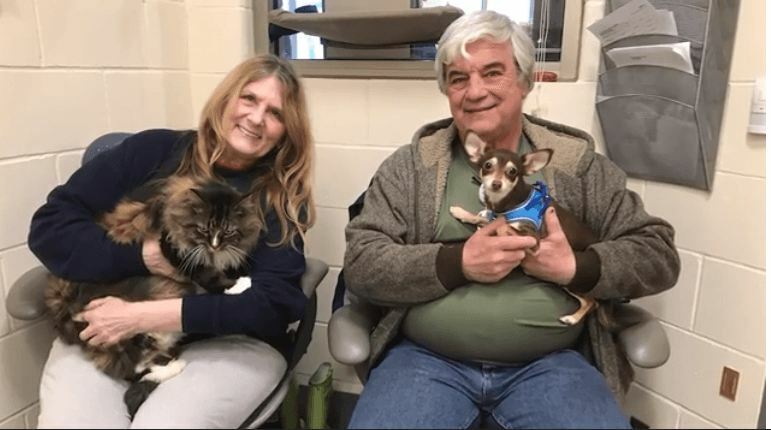 The pets were left in the care of MSPCA’s Boston Adoption Center on March 14 and staff quickly realized that the pair were deeply bonded to one another. Because of the deep bond, the adoption team set out to find one family who could take this pair in – and they were met with success! Dozens of people applied to adopt the pair, and over the weekend, a couple was chosen to provide Kitty and Leila a “furever” home, reports KWQC news. Enjoy your happily-ever-after Kitty and Leila!